Whoop hello fellow yeemo welcome to my imagines. I think they're actually not as trash as I thought they would be. They are however still being written at one am. It's a bad thing but at night is when I'm most inspired. Lol my Gerard imagines are so much better than Brendon's and Patrick's lol idk why. This books one year anniversary. Book two of your favorite emo quartet book. Preferences for Gerard, Frank, Mikey and Ray  (sorry, no Bob because he was annoying). I will do requests if you have anything particular in mind. requests are open, I'll write basically anything, I have dyslexia so sorry about my spelling and grammar, for bands Fall Out Boy, Panic! at the disco, and My Chemical Romance. 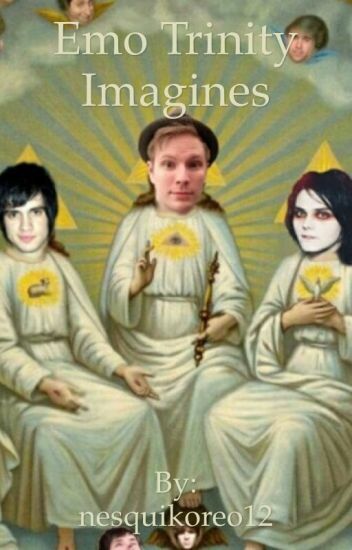 The 2nd Book in The Emo Trinity Imagines series. AND ANY OTHER BAND THAT IS REQUESTED!